For 90 years, Simpson's Pharmacy has been serving the health care needs of Rhode Island and surrounding Massachusetts. We are an independently owned, full service pharmacy committed to bringing you the very best professional and quality services, staffed by friendly, helpful and knowledgable people. At Simpson' Pharmacy, we distinguish ourselves from the large chain pharmacies by providing you with a high level of personal service that cannot be duplicated anywhere. We get to know each and every one of our customers, most on a first-name basis. Our staff will make you feel at ease when you come in looking for either a specific product or advice. If we don't have what you're looking for, just ask, we pride ourselves in special ordering items or suggesting helpful alternatives. Once you've experienced the service at Simpson's Pharmacy, you'll never want to shop anywhere else for ALL your healthcare needs. Pharmacy practiced the old fashioned way, is our goal every day. Despite ever increasing technology, we still know all our customers by name, getting to know their specific needs. We answer our telephones with real people and not a voice mail system. We still practice the "art" of pharmacy by continuing to offer prescription compounding and local delivery service. 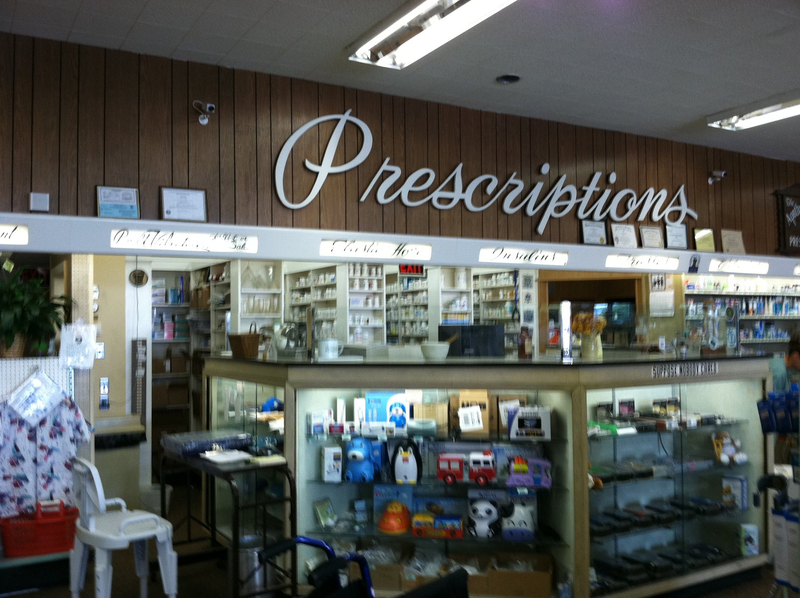 We stock several hundred prescription medications, from the top 200 to the rarely used medications. Durable Medical equipment and supplies are in stock with a wide variety of items to choose from including wheel chairs, canes, walkers, rollators, bath chairs, crutches, lift chairs, surgical equipment, diabetic, ostomy/colostomy supplies, etc. If you cannot find a product anywhere else in town, chances are you'll find it at Simpson's! Specialized fittings in our private fitting room. Medical and surgical items are fitted by qualified male and female technicians. In stock items include; trusses, back braces, knee & wrist braces, maternity belts, surgical stockings/compresssion hosiery and more. Simpson's Pharmacy was established in 1929 by Thomas N. Simpson, Druggist, on Broadway at Exchange Street in Pawtucket, RI. Construction of Route 95 forced the Pharmacy to move to it's current location at 10 Newport Avenue, Pawtucket, RI in 1957. Simpson's Pharmacy remains in the Simpson Family and is owned and operated by Cheryl (Simpson) Stoukides, BSc Pharm, PharmD, RPh, and Carol (Simpson) Smith, RN, BSN. Simpson's Pharmacy has been providing the people of Rhode Island and the surrounding Massachusetts communities with a reliable source for their healthcare needs for the past 75 years.